ALAN PARDEW is looking for ways to reinforce Crysal palace’s strikeforce. He recently signed Christaian Benteke from Liverpool, and has the Ghanaian international, Majeed Waris on his mind. Also, Pardew has turned to Loic Remy to solve Crystal Palace’s goalscoring woes. The Palace manager is expected to tie-up a season-long reunion with out-of-favour Chelsea striker Remy before tomorrow night’s deadline. An option is in place to sign Remy for £12.5million next summer as Palace aim to pair up the frontmen. They are hoping Remy’s pace will combine with the power of new record signing Christian Benteke. Remy, 29, is not part of Antonio Conte’s plans and is eager to team up with Pardew after enjoying his most prolific spell in the Premier League at old club Newcastle in 2013-14. 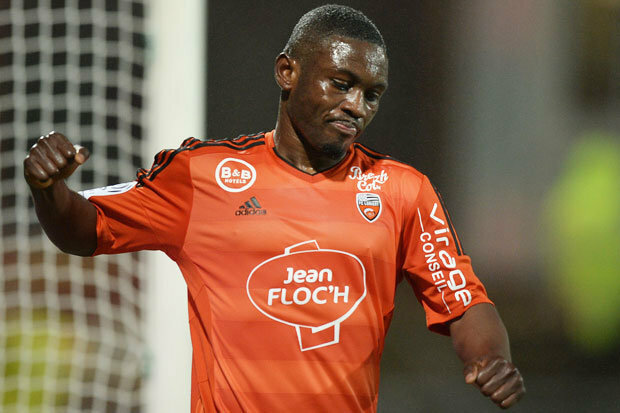 The Frenchman could be joined by Ghana frontman Majeed Waris at Selhurst Park, who is in talks over a £9m switch from French side L’orient. Palace’s search for added firepower is clear. The south Londoners have scored just once this season via defender Scott Dann’s last minute equaliser in Saturday’s 1-1 draw with Bournemouth. Dann was also the south Londoners top scorer last season with a meagre five goals to sum up their long struggle in front of goal. Palace also chasing another midfielder to replace club captain Mile Jedinak, who was sold to Aston Villa earlier this month. Newcastle’s Moussa Sissoko and James McCarthy of Everton are among those being considered. But Palace are reluctant to meet’s Sissoko’s £35m price tag. McCarthy is a cheaper option butLeicester are now firmly in the box seat for the Irishman’s signature.